Besides cut-throat pricing, first-in-class services like VoLTE, and lately the fastest data connection, Reliance Jio now has one more badge which it can boast to envy the incumbent telcos. The operator has grabbed the top spot among Indian firms in Fast Company’s list of Most Innovative Companies for 2018. Of the 50 companies chosen globally, Jio takes the 17th position, the highest among Indian companies. Fast Company honors the top innovators and transforming businesses from more across 36 categories and industries and puts out a list of 50 most ingenious enterprises. Reliance Jio has disrupted the telecom scape in India by offering affordable internet services and compelling other providers to lower their tariffs without compromising the quality of their services, aside from making mobile data a part of the country’s staple diet. Reliance Jio shares the leaderboard with globally renowned companies such as Netflix, Amazon, Instagram, Spotify, with Apple leading the list. Fast Company has used inputs from three dozen correspondents, contributors, and editors who survey thousands of companies to create the list. The only other Indian company on the list is Paytm which was ranked 31. InMobi, EM3 AgriServices, and SDGZ are other Indian companies which were recognized by Fast Company but couldn’t make it to the top 50 list. 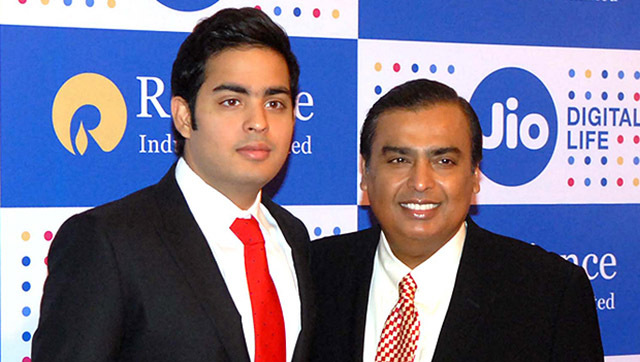 Akash Ambani, Director of Reliance Jio, remarked that the company’s mission is to make broadband and wireless internet available to all Indians. He also highlighted the company’s desire to completely revamp the ICT industry of India. Fast Company deputy editor David Lidsky who played a pivotal role in compiling the list said that the focus for this year was innovating and inspiring practices by companies which are using their products to “make meaningful change“. You can view the complete list of 2018’s honorees here.